The "skyrocketing" costs of expanding airport infrastructure must be controlled to keep flight tickets affordable, the boss of airline industry group IATA warned Monday. Alexandre de Juniac called for more modest developments to keep construction costs down and avoid landing customers with higher prices which would hit demand. De Juniac cited the proposed 14 billion pound ($19.8 billion) cost of a third runway at London's Heathrow Airport and the construction of a fifth terminal at Changi Airport in Singapore as prime examples of vastly expensive projects. "The cost of infrastructure is skyrocketing," he told reporters ahead of the Singapore Airshow this week. "When we look at the numbers of Heathrow for the third runway, we are very, very, very worried. 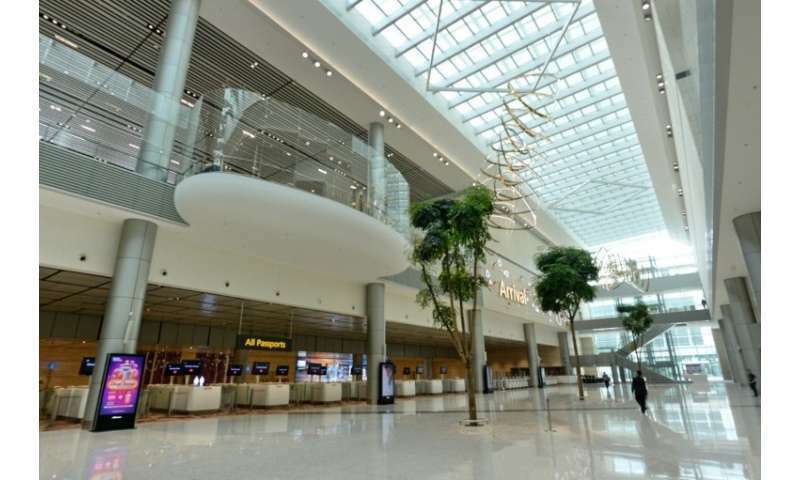 Even the numbers for T5 in Singapore are very high," he added, without disclosing a figure for Changi Airport's expansion. The city-state's plans for its hub airport include a new development due to open next year featuring a 131 foot (40 metre) high indoor waterfall, and a fifth terminal slated for 2030. "We would like for instance to avoid big projects in which we see overruns because the architecture is fantastic, wonderful but it's very costly... we have to be more modest," De Juniac said without naming any airport. Airport construction costs are rising to levels which are too much for airlines to bear, he added. "Someone will have to pay for that... They will have to put that on the tickets, and then if it's too high it could harm the level of demand," he said. IATA is working with authorities at Heathrow and Changi to manage costs and called on governments to involve airlines from the beginning of projects. Heathrow has proposed trimming expansion costs by 2.5 billion pounds with measures such as building a sloping runway and staging construction. De Juniac said 7.8 billion people are forecast to fly worldwide by 2036—with nearly half of passengers flying to, from, or within Asia Pacific—up from an expected four billion in 2018. Passenger growth will far outpace development of infrastructure like airports and air traffic control systems, he said. "I believe that... we are headed for a crisis. Infrastructure in general is not being built fast enough to meet growing demand," he said. "All the great plane deals that will be done at this air show will mean nothing if we don't have the capacity to manage the traffic in the air and the airports at each end of the journey."